KTMB MMC Cargo Sdn Bhd in collaboration with MMC Ports are responsible for developing rail freight business. 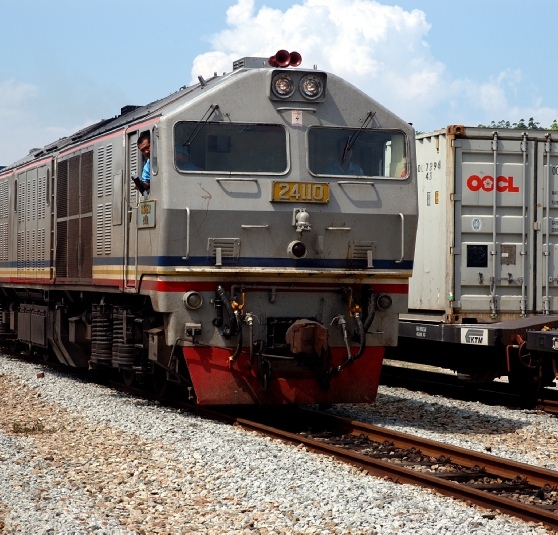 The team rail manages the link between shipping liners, freight forwarders and railway operating company (KTMB). KTMB MMC Cargo Sdn Bhd provides an inter-terminal transfer (ITT) movement of containers by rail at a competitive rate that link up with road hauliers for a full door-to-door service. KTMB MMC Cargo have successfully completed 100 TEUs laden containers shipment from Port Klang to Johor Port Berhad and also 120 TEUs empty containers shipment from Port Tanjung Pelepas to Port Klang. Since June 2014, a Fixed and Regular block train ITT Service has been operated twice on weekly basis. Today they are running 5 days a week train frequency. The frequency varies subject to market demands.